There are some areas of Manhattan that I typically shy away from. Read: places that get too crowded. You will rarely find me in Times Square, because Times Square has yet to appeal to me with their cuisine. 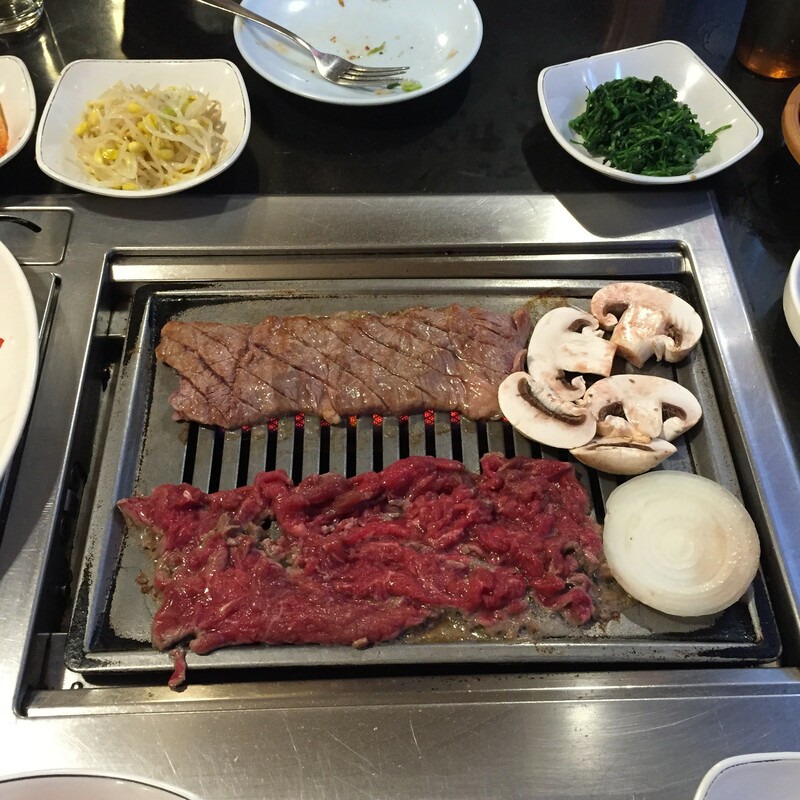 That said, you can occasionally find me getting down with some Korean BBQ up in K-Town, despite the crowds. The food is damn good, and I like the work that’s involved with it too, believe it or not. 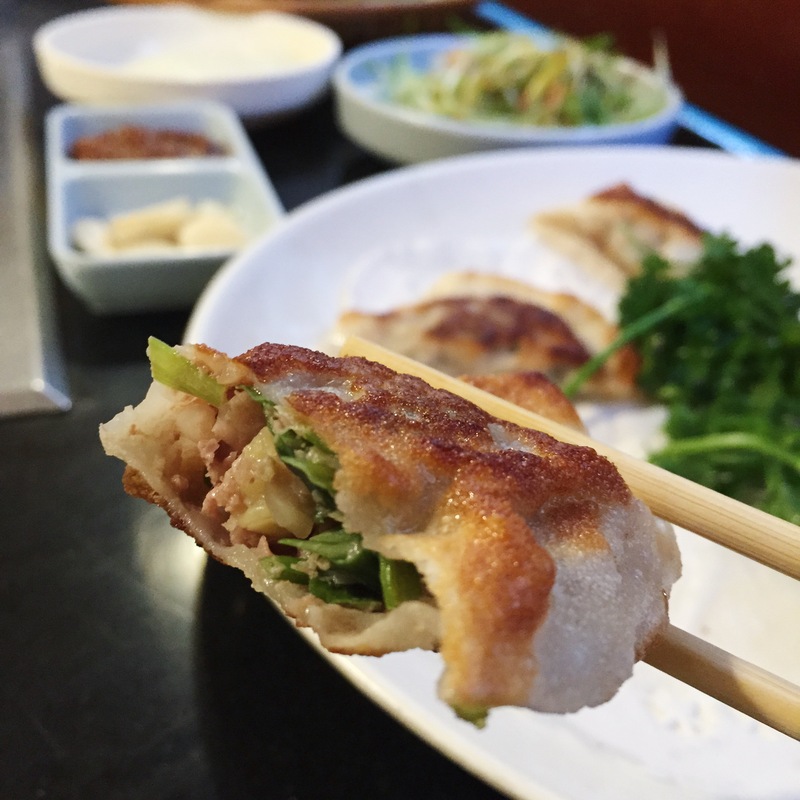 Cooking your own meat on a grill built into the table while you feast on dumplings and beer?! That’s the dream, friends. I visited Seoul Garden on 32nd Street a week or so ago, and it was a straight up FEAST. Lots of meat going on the grill, lots of jap chae and tofu soup on the side, and oh man, those dumplings. Here’s a roundup of my meal, and here’s why you should visit. Authenticity. 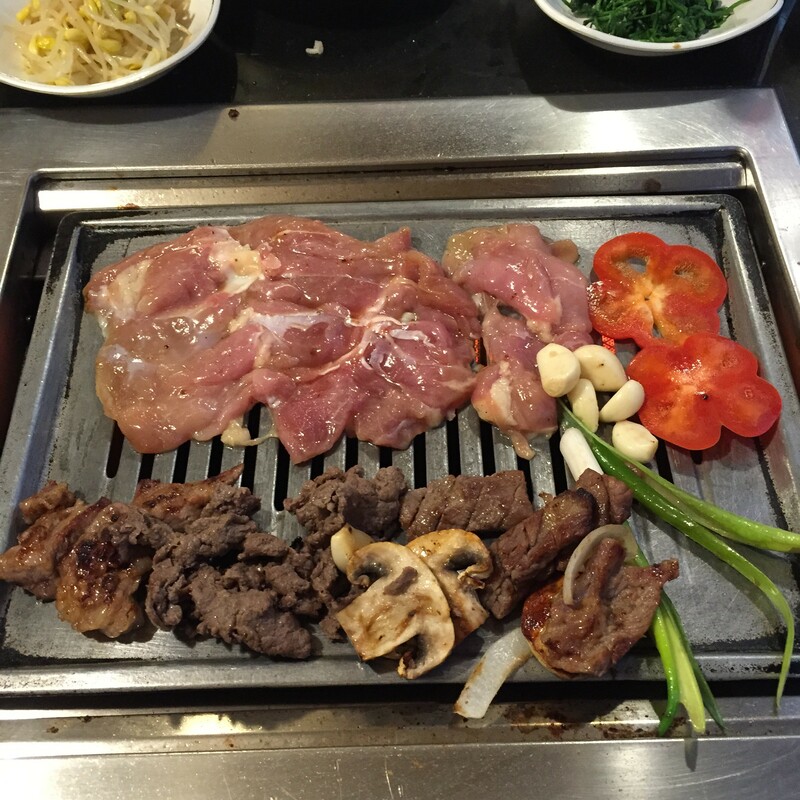 Seoul Garden prides themselves on authentic Korean BBQ, and they have been in business since 1998. If you actually do the math, that’s a long time. I tend to think of 1998 as 4 years ago. Aside from that, Seoul Garden has been frequented by celebrities from South Korea and Asia. Service. Not only are they popular, but they’re friendly as well. I didn’t know half of what to get from this massive menu, and the owner, Patty Koo, came by to give me some suggestions. And I thought they were all great, with some standing out more than others. The meat! We got 3-4 meats for our BBQ, which is a bit pricey mind you, so you don’t have to go this route. But if you’re serious about food like I am, and you want that savory and tender meat, go for it. Live a little. Seoul Garden is also known for their tofu soups, which was a first time dish for me. It arrives BOILING hot to the table, and they crack an egg in it. So cool, yet so hot. Literally. The texture was a bit weird to me at first because the tofu is a lot softer than miso soup, but it had a great salty broth and spicy heat. I likened it to a ramen broth. YUM. The galbi and the bulgogi were probably my favorites of the BBQ meats. Served with the Korean BBQ fixins like kimchi, watercress, radishes, scallions, bean sprouts, rice and lettuce for lettuce wraps. Delicious. So tender, and they cook it up for you right there on the grill – so you don’t really have to do anything and they know the right amount of cook time. Then when it’s done cooking, they walk you through the layers of a lettuce wrap! So fun. 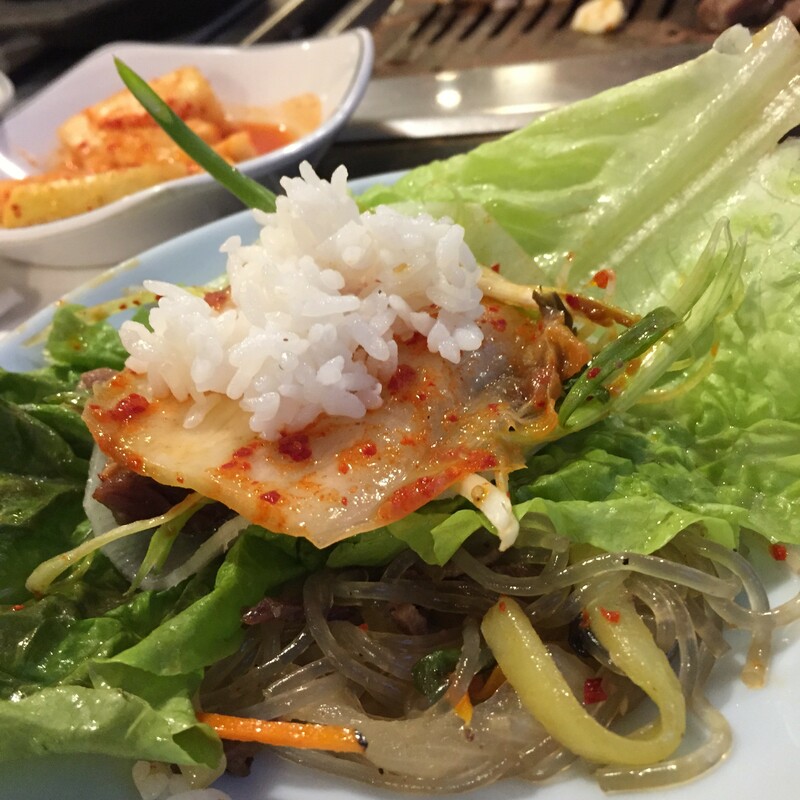 Lettuce, soybean paste, radish, scallions, galbi/bulgogi, rice, kimchi. Wrap it up and take a big bite. TEXTURE CITY, WE HAVE ARRIVED. Wild card: the chicken. Whoa! Juiciest chicken I’ve probably ever had at a Korean BBQ joint…or anywhere. Didn’t think I’d like it but it was cooked perfectly. Newbie: japchae with roast pork. 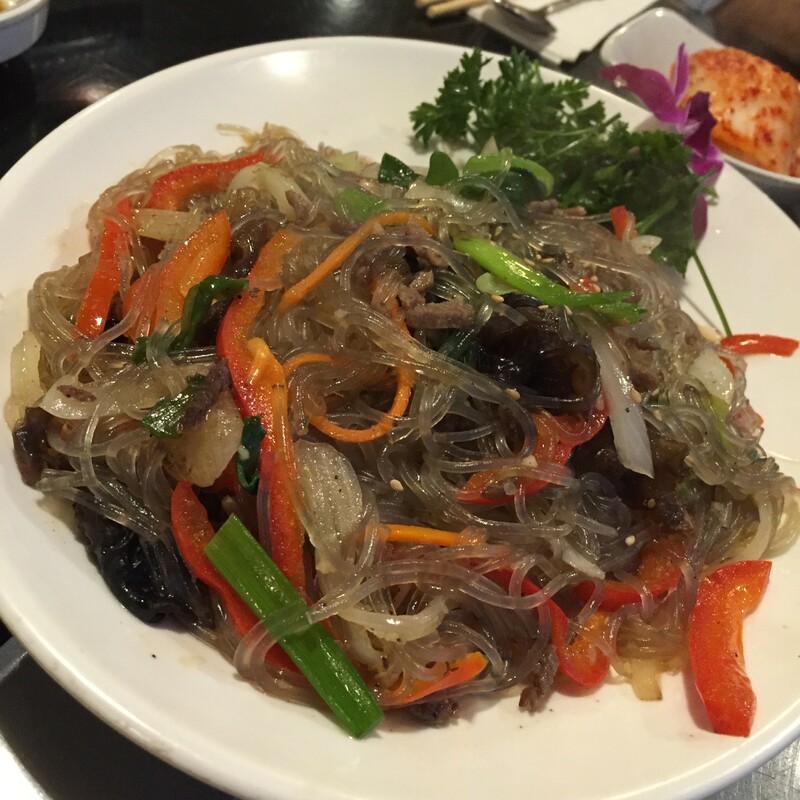 I have heard of japchae before but never actually had it. It’s stir fried sweet potato noodles. Yes, you heard that right. They have such an interesting texture, that at first I didn’t even know if I liked it or not. Kinda slippery, kinda chewy. Turns out, I was a big fan. I couldn’t stop eating it! Very addictive. Don’t let the gray-ish color put you off, by the way. I’ve heard that from people. DON’T JUDGE A BOOK BY ITS COVER AND DON’T JUDGE A JAPCHAE BY ITS JACKET. I made that up. 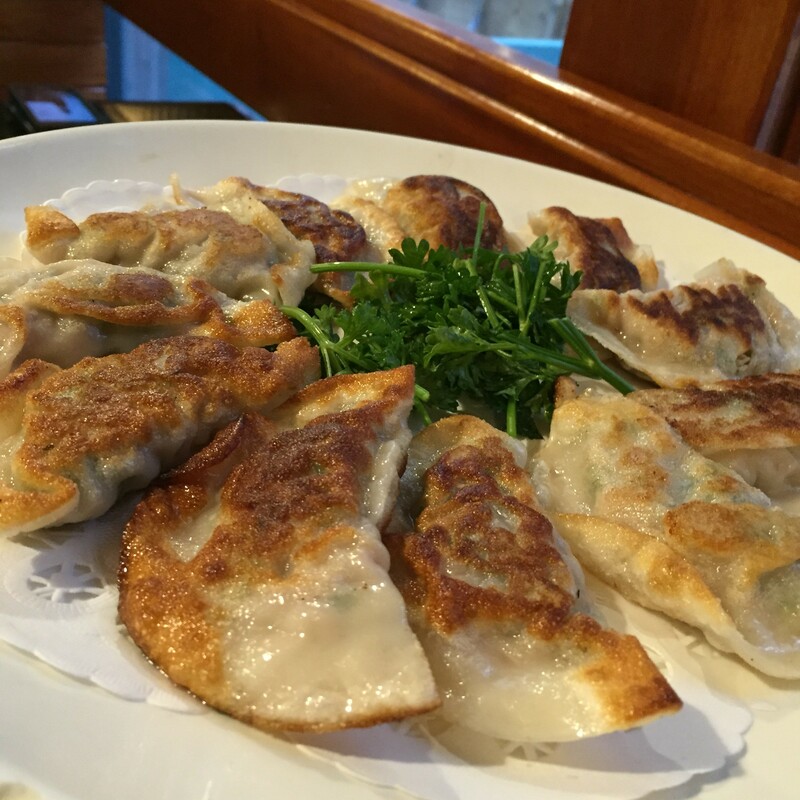 Must have: the dumplings. Ohhhh the dumplings. Fried pork dumplings. Delivered in a perfect giant platter right to my face. I mean table. No, I mean face. If you haven’t been to Seoul Garden, don’t let the location bug you. 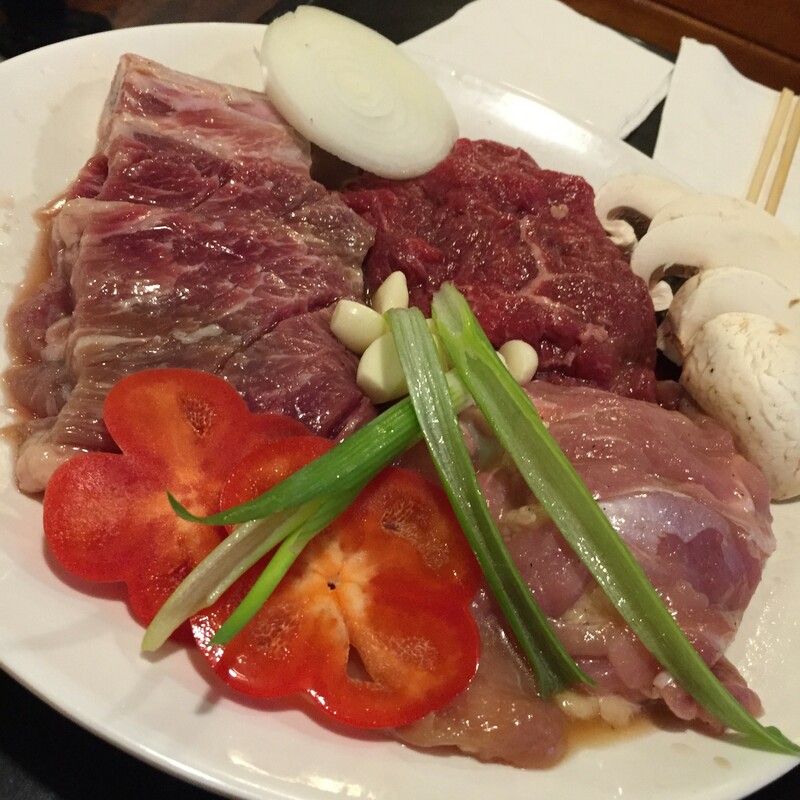 This is where the heart of Korean BBQ lies. No denying that. Fun fact: Seoul Garden is in the building with address 34-36 listed outside and then you go up the stairs/take elevator to the second floor. I was confused so thought I’d help you avoid walking in circles like a tourist.